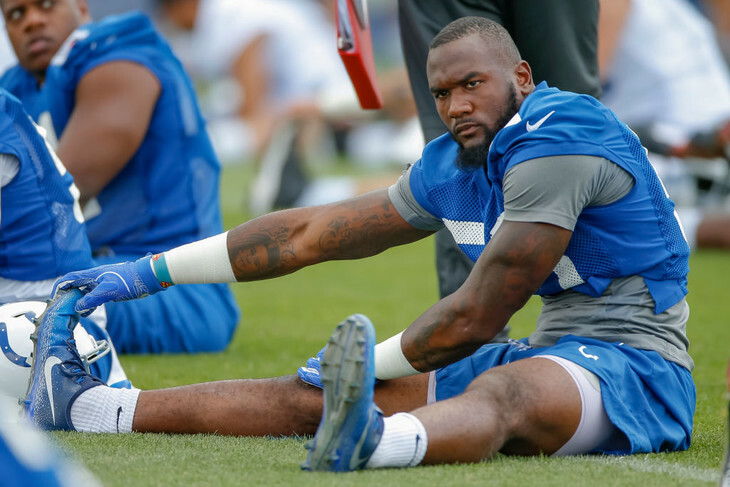 In less than a year Darius Leonard has gone from NFL hopeful to NFL Rookie of The Year, continuing the legacy of HBCU NFL overachievers. Darius Leonard didn’t make the Pro Bowl as a rookie, but he did win something even more rare on Saturday night. The South Carolina State product was named Associated Press NFL Rookie Of The Year on Saturday night after a spectacular first year as a linebacker for the Indianapolis Colts. Leonard led the league in total tackles (163) and solo tackles (111), and his seven sacks ranked second in the league among rookies. Not bad for a second-round pick who was widely labeled as a bad pick before he was even handed a uniform. “Man. My God is awesome, man. First of all, I’d like to thank Jim Irsay and the Colts organization for giving me the opportunity to play the game I love at the highest level. And I couldn’t do it as a linebacker — you know you cannot run free without your defensive line, and my defensive line played amazing all year, getting me free and allowing me to run around and make plays. So I appreciate y’all boys for allowing me to do my job. And, you know, you’ve always got to have someone in your corner at all times, and you know, football is a very stressful sport at times, and I have a beautiful wife that’s in my corner, and she’s there every single day, through my long days, and she’s my biggest motivation, and I just want to say thank you to her for actually being by my side since Day 1. I love you. Leonard became the first player from a non-FBS school to win the AP NFL DROY award since 1995. That year’s winner was Hugh Douglas, who competed in the NAIA with Central State. The Lake View, SC product was the first recipient of the HBCU Gameday/Protect Your Skull Defensive Player of The Year Award. Congrats on making us look good, big guy! We are so proud of what you do on and off the field of play! Blessings for you and your family. “So hard to be a Bulldog”!